In addition to installing our custom built signs with our 60’ Elliott crane, Classic Signs also provides lifting services to all types of contractors. 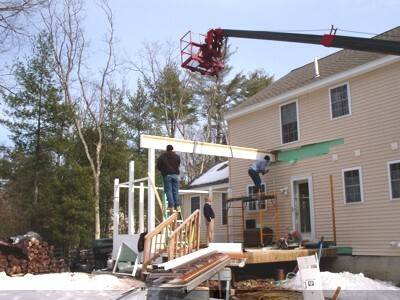 Our truck mount crane has a 3000 pound lift capacity and a 60’ reach. Builders, painters, electricians, HVAC contractors and even spa installers have used our services for small to medium lift jobs. A two man basket is also equipped with a 120 volt circuit and welding leads to our 10,000 watt welder/generator. Our low minimum rate is perfect for contractors who need a quick lift without breaking the budget.